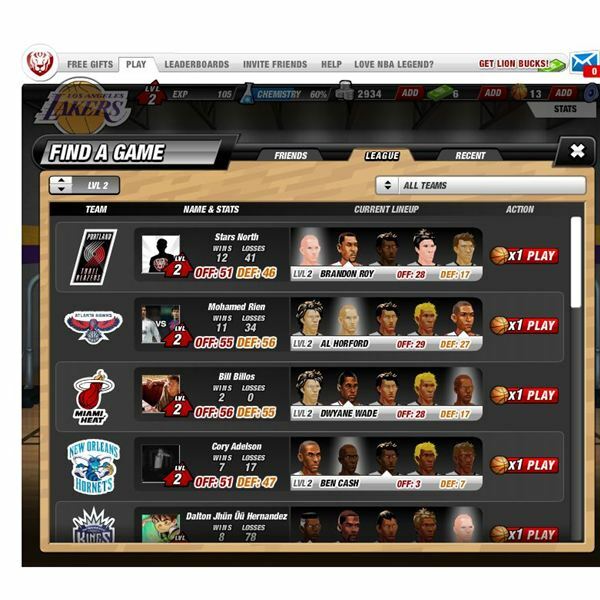 NBA Legend is a Facebook basketball simulation game. As you load the game for the first time, you’ll pick your real life NBA team and then give your player a name and position, on either offense or defense. You can also change the look of your player and alter the skin color of you like. You can take part in an exhibition game through the training camp to learn more about NBA Legends. You can pick your players and the game will begin. You can’t actually control your players the game will sim for you. To get better you can hit the gym and train your player. You can pick the time for your drills from five minutes up to one full day. Drill techniques include shooting, rebounding, and other techniques. You can also perform drills with NPC pros such as Kobe Bryant or with game friends. In NBA Legend, you are training your own player to get better against the pros. You’ll play a bunch of exhibition games first before moving on to the other leagues. You’ll need to complete missions to unlock the pro NBA league. As you do drills, your player will move around the court performing the moves. If you want to play a game while doing drills simply click on the play game icon and pick from a Facebook friend or a league game against other Facebook users on other NBA teams. You can switch your play to different pros and complete drills with them. In the beginning stages you’ll play lots of exhibition game to get better, you’ll complete missions and perform drills. Visiting friends and pros will increase your chemistry rating and help you win more games as well as giving you experience. As you win games, you’ll also gain coins to spend. In the game store, you can buy boosts that will help you win more games. In the game store, you can find a summary of your current skills, and rank. You can buy different boosts that will help you perform better in games and improve your shooting for example, or improve your defenses n the perimeter. Each boost will cost you some game coins. In the game store you can also view the current leaderboads and find your friends online from the friends tab. Overall, NBA Legends is a decent game but you can’t control your player during the games and that is a bit disappointing. You can use some different boosts from the game store but these don’t really add to the game play. You can see your player going through the drills and it would be nice to see these types of moves during an actual game. It’s rather boring to simulate the game and not have any input into the outcome. This lack of interaction with the game is a low point although the drills are decent enough to keep your interest. The game features a nice interface and it’s easy to find out how the game works. The animations during the drills are nice and you can customize your player some. You can currently play your Facebook friends and some other multiplayer features are currently grayed out so this might be leagues it is hard to tell. The game features a decent soundtrack too but I found it a little too quiet. Switiching between the pros players and your Facebook friends is easy via the tabs. The game has some nice quests or misison to help you learn aboutt he game and collect some rewards such as coins early on in your career. 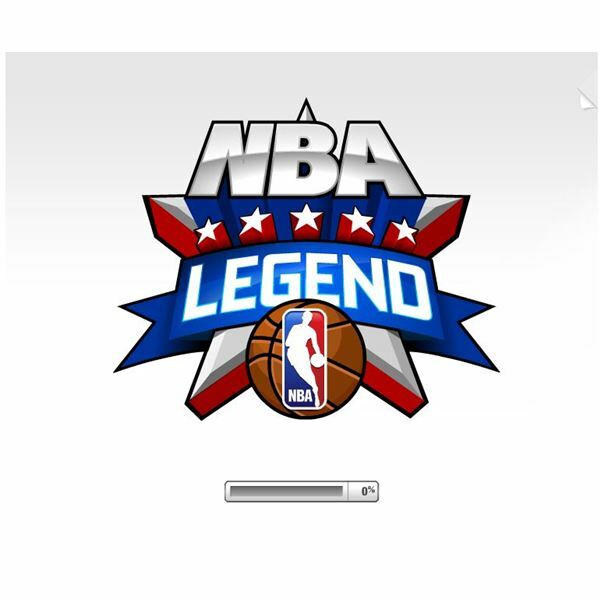 NBA Legends is a decent basketball game but it has a long way to go yet. Some more animations and the ability to control your player during a game would be a good start. Despite the lack of real game play the game has enough content to keep basketball fans mildly entertained on Facebook before going back to a console version of their favorite sport. Source: Article is author's own experiences playing NBA Legends on Facebook.